Three people are dead and as many as 500 homes lay in ruins as historic flooding continued Monday across eastern Nebraska and western Iowa, leaving thousands helpless under evacuation orders and fearful for their homes. The floods, which affect nine million people across 14 states along the Mississippi and Missouri rivers, began with a river overflow on Tuesday. As the Missouri River rose to historic levels, streams of water rushed past river barriers and levees, flowing into nearby cities by the weekend. At least three people have been reported dead by the authorities, including a local Nebraska farmer who was swept away while trying to help rescue others from the flood. In total, 9 million people under flood warnings have been forced to evacuate from the nearby areas while the Sarpy County Nebraska Sheriff’s Office reported that as many as 500 hundred homes were destroyed in the floods. Emergency personnel said that many homes and office buildings in the Omaha area were filled with more than eight feet of water – local volunteers spent the weekend filling sandbags to help stop the flooding. As different parts of the rivers crested, rescue workers in eastern Nebraska and Western Iowa have been using boats and helicopters to locate people caught in the floods. 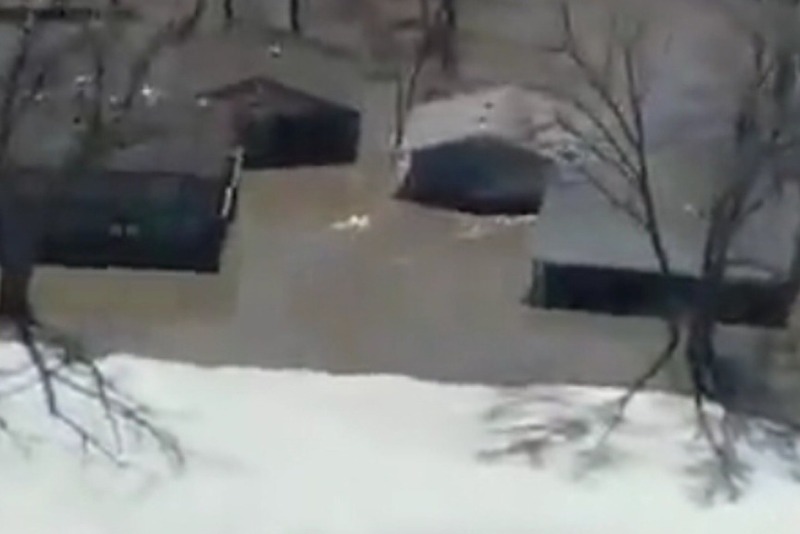 While some parts of Nebraska have been hit worse than others, some flooding is expected to continue for another week, leaving many in the area fearing the worst is yet to come. Casey Randel, a Realtor whose aunt’s house was completely destroyed in the flood, said the extent of the floods was “devastating” and that he has since launched a GoFundMe page to help his relative. Marie Schroeder, a Realtor with The Briley Team, was in the process of selling a home when the evacuation order came in. The seller and the buyer had already arranged to sign contracts but one side was abruptly forced to evacuate while the other was helping with rescue efforts in another part of Omaha. The house, miraculously, remained undamaged and they were able to finalize the sale a little later in the day. Fourteen states across the Midwest are currently under flood warning. In Nebraska and Iowa, many schools, businesses and major highways remain closed while residents wait for the floods to subside. In Lincoln, Nebraska, helicopters have been dropping sandbags from the air while a dam on the Niobrara River collapsed on Thursday, according to Weather.com. In Brownville, Nebraska, a town of just over 100 residents two hours south of Omaha, officials are preparing to close the local Cooper Nuclear Power Station in the event that further flooding causes damage. Nebraska Realtor Ryan Pace, meanwhile, has been offering to list homes damaged beyond repair free of charge. Inman will continue to provide ongoing coverage of the floods. Article image credited to 9News/YouTube.com.